The 2015 Toyota Camry is loaded with the best in safety features and technology, and it has the awards to show for it. Thomasville Toyota in Thomasville, Georgia has the safest car on the road, the 2015 Camry. The 2015 Camry has been given top ratings by the most respected safety organizations in the business. The Insurance Institute of Highway Safety named it a Top Safety Pick+. The 2015 Camry earned the top rating in each of the IIHS’s five tests, including an advanced rating for front crash prevention. The National Highway Traffic Safety Administration similarly rated the 2015 Camry with the highest ranking, giving it a 5-Star Overall Rating. Every 2015 Camry is road-ready with the standard Star Safety System. Enhanced Vehicle Stability Control and Traction Control ensure precision handling on any surface. Braking is superior with the Four-Wheel Anti-Lock Brake System, Electronic Brake-Force Distribution, Brake Assist, and Smart Stop Technology. In the event of an accident, ten airbags cushion the blow, including driver and front passenger Advanced Airbag Systems, seat-mounted side airbags, and knee airbags. Driver and front passenger Whiplash-Injury-Lessening seats mitigate the effects of such a collision. Available features for the 2015 Toyota Camry include top-of-the-line safety technologies. 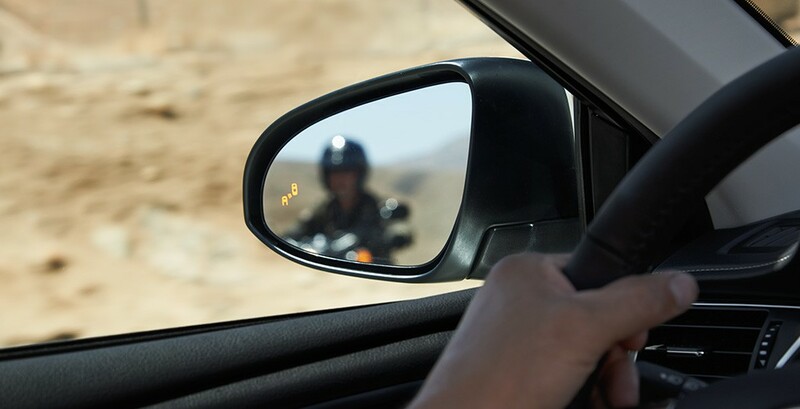 Blind Spot Monitor with Rear Cross-Traffic Alert assists drivers reversing out of driveways and parking spaces. The Pre-Collision System warns the driver when it detects a pedestrian or obstacle, and helps avoid collisions with automatic braking and increased pre-collision braking force. Also guarding motorists from some of the dangers of the road are Adaptive Cruise Control and Automatic High Beam. Lane Departure Alert emits a tone when the vehicle is veering into another lane without a corresponding turn signal. The Safety Connect system helps drivers when life gets a little out of hand, with Emergency Assistance, Stolen Vehicle Locator, Roadside Assistance, and Automatic Collision Notification. Check out the safe and sound 2015 Camry at Thomasville Toyota.